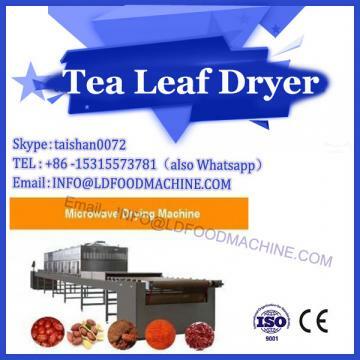 With the rapid development of famous tea production, microwave drying machinery and equipment tea processing machinery has been widely used in the vast tea areas, tea dryer is a commonly used equipment in the tea production process. Proper use and maintenance of the tea dryer not only improves work efficiency, but also improves the quality of the tea. 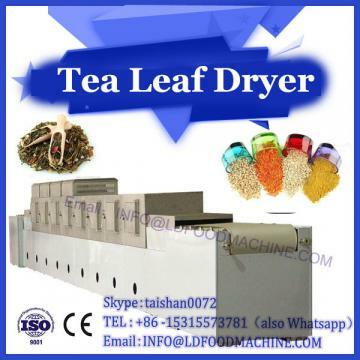 The use and maintenance methods of the tea dryer are described below for reference. (1) After the mechanical installation is completed, first check the running direction of the speed regulating motor, and confirm that the output sprocket is turning correctly, then the chain can be set and the center distance can be adjusted to make the chain tight. Reversal can seriously damage the machine. 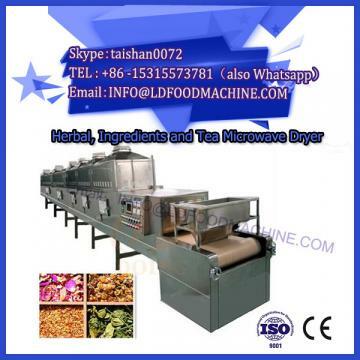 (2) Before use, the machine must be cleaned, the oil stains on the surface of the baking board should be wiped off, and the impurities should be removed without affecting the mechanical operation and pollutants. (3) Check the tightening of the connecting bolts and screws at each part, check and adjust each pressure roller to make it in the normal working position. Check and adjust the drying plates of each layer so that they are in the correct turning direction, and there must be no reversal phenomenon; check and adjust the drying chain of each layer of the drying plate and the hoisting chain of the collector to make it in normal tightness. (5) Add the grease according to the lubrication point in the lubrication diagram. (6) After completing the above preparations and confirming that the machine is normal, the test operation can be performed, and the abnormality can be observed again during the test operation, and the operation can be completed after confirmation. (1) During the operation of the machine, the tightening of the bolts of the connecting bolts of each part, the tightness of the chain and the working condition of the pressing wheel, and the tightness of the drying chain of the baking sheet should be checked frequently and adjusted at any time. (2) Always check the working position of the baking sheet, and there must be no displacement, jamming and inversion. (3) If there is abnormal shock, vibration or noise during operation, stop the inspection immediately, find out the cause and eliminate it. (4) During the operation of the machine, the temperature rise of the motor, reducer and bearings of each transmission should be checked frequently. The temperature rise of the bearing should not exceed 30 °C, the temperature rise of the reducer should not exceed 40 °C, and the temperature rise of the motor should not exceed 50 °C. (5) Regularly lubricate each lubrication point with grease. (6) Regularly check the working conditions of each transmission component and wearing parts, and repair or replace them in time.